Holiday Inn & Suites Charleston West is the perfect hotel solution for business and leisure travel to West Virginia’s capital city. Conveniently located near downtown Charleston and the WV State Capitol Complex, our hotel is easily accessible from I-64, I- 77 and I-79. Located at the Charleston Conference Center, the Holiday Inn & Suites Charleston West provides guests and meeting planners with everything needed for a quality event. Our Convention Services team is ready to assist with catering needs, meeting space requirements and hotel arrangements for meetings, conferences, weddings and much more! 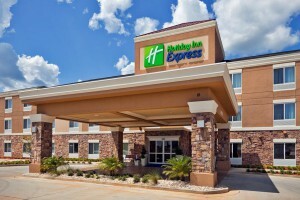 The Holiday Inn & Suites Charleston West offers free Wi-Fi (wireless high-speed Internet) throughout the hotel’s public spaces as well as guest rooms and a 24-hour business center for keeping in touch with family and friends or work needs. With a complimentary shuttle to/from the hotel to Charlestons Yeager Airport (CRW) and to local dining and shopping, our hotel provides all the services and amenities for the perfect stay. Let the Holiday Inn & Suites Charleston West show you everything the Mountain State has to offer!